I sing like a mule. I always have. 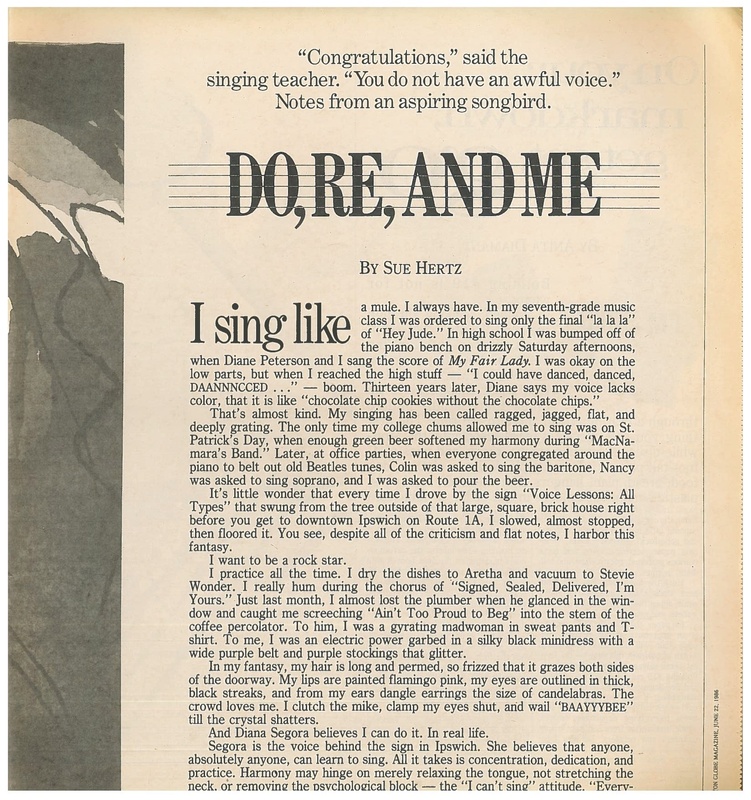 In my seventh-grade music class I was ordered to sing only the final "la la la" of "Hey Jude." In high school I was bumped off of the piano bench on drizzly Saturday afternoons, when Diane Peterson and I sang the score of My Fair Lady. I was okay on the low parts, but when I reached the high stuff – "I could have danced, danced, DAANNNCCED..." – boom. Thirteen years later, Diane says my voice lacks color, that it is like "chocolate chip cookies without the chocolate chips."